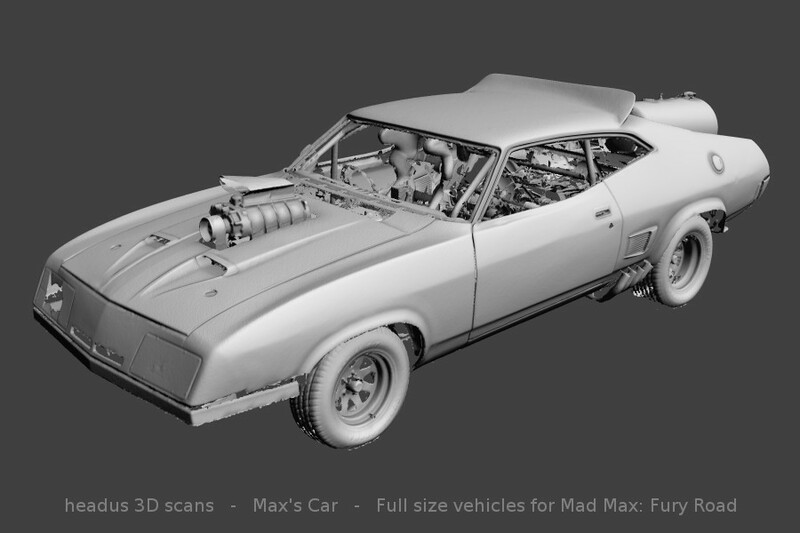 headus supplies a comprehensive range of 3D scanning products and services to the Entertainment, Industrial Design and Health Care industries in Australia and around the world. 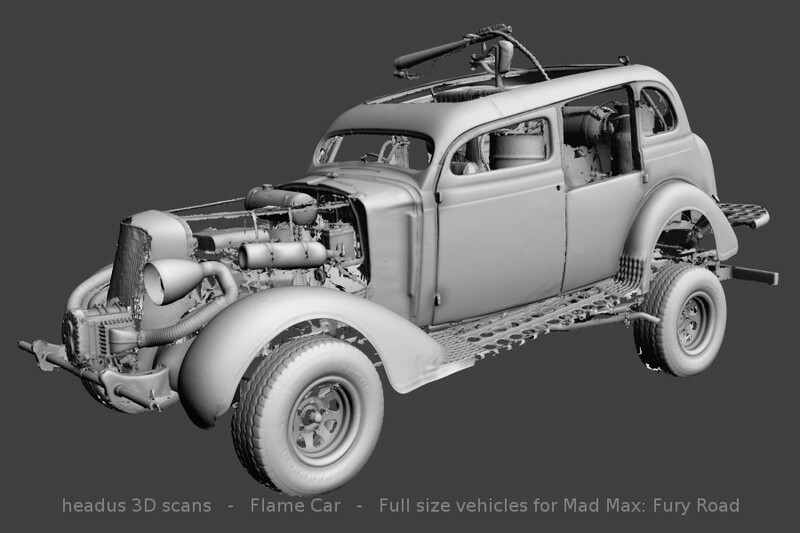 We also develop software for the processing of 3D scan data (CySlice, PlyEdit and CySize) and more generally for anyone working with 3D meshes (UVLayout). 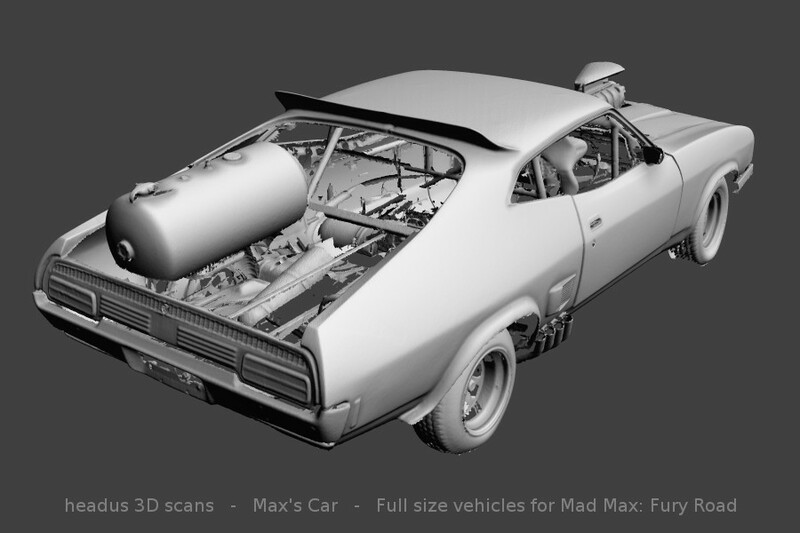 Use the menu options above to find out more about everything we do here at headus. 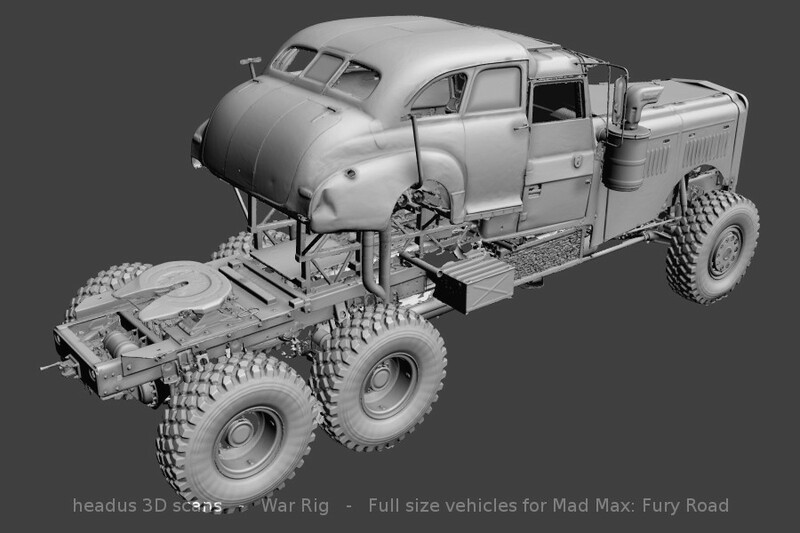 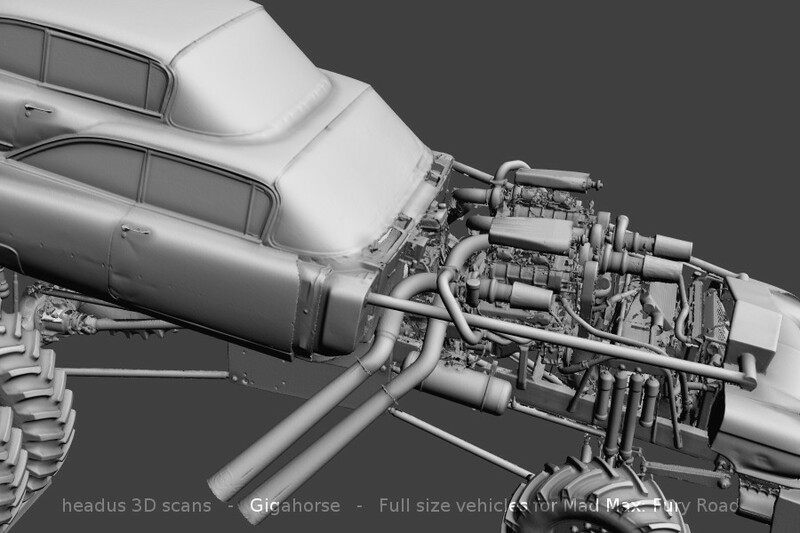 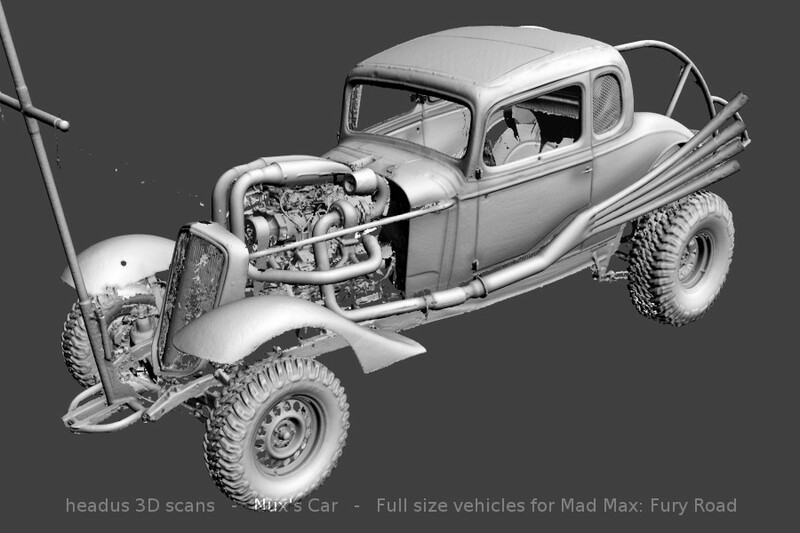 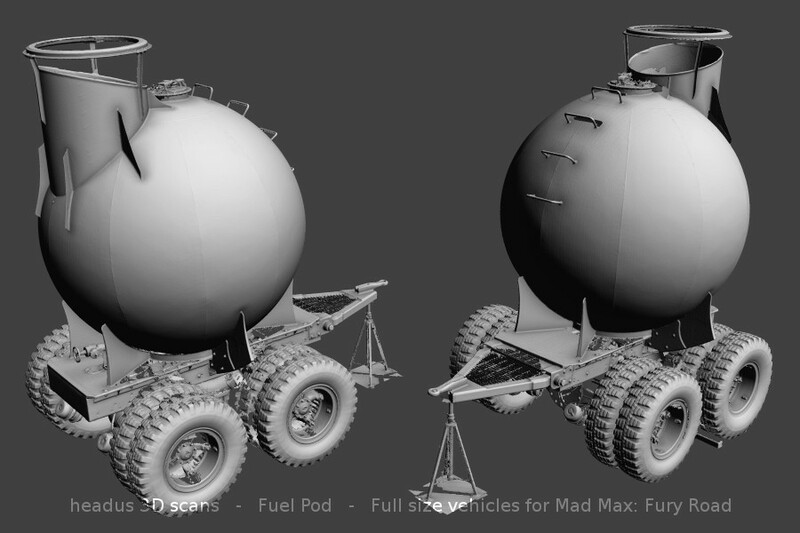 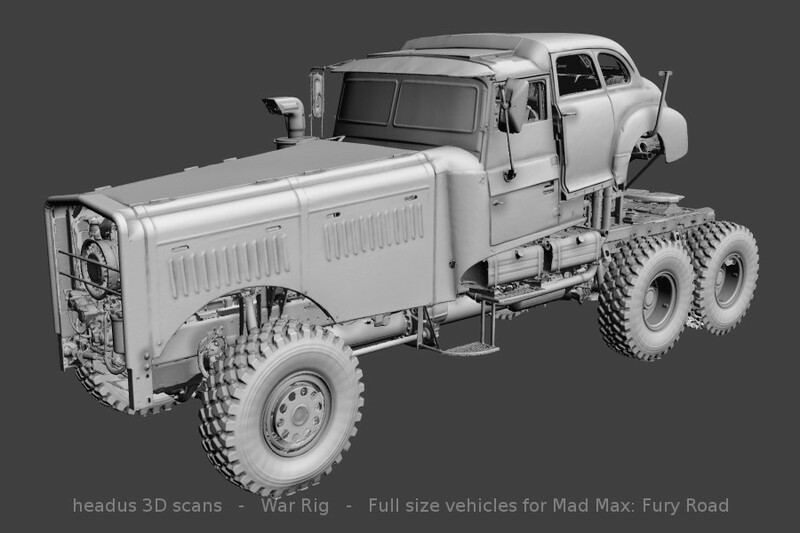 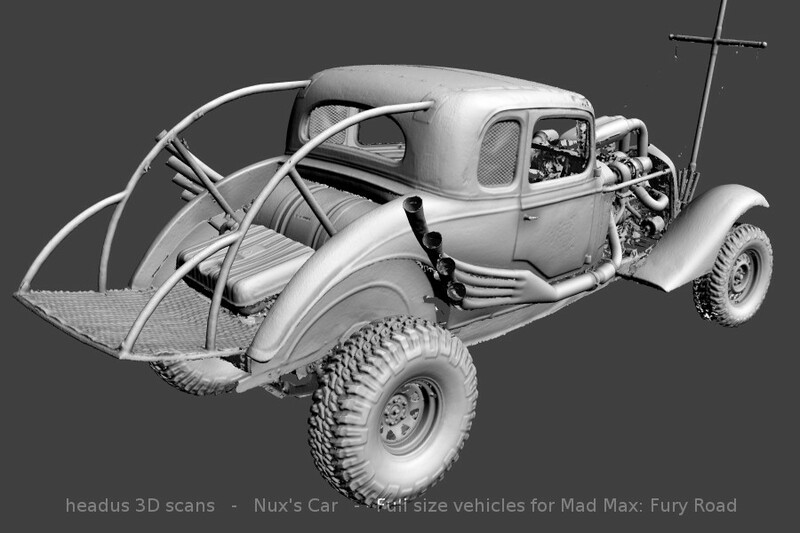 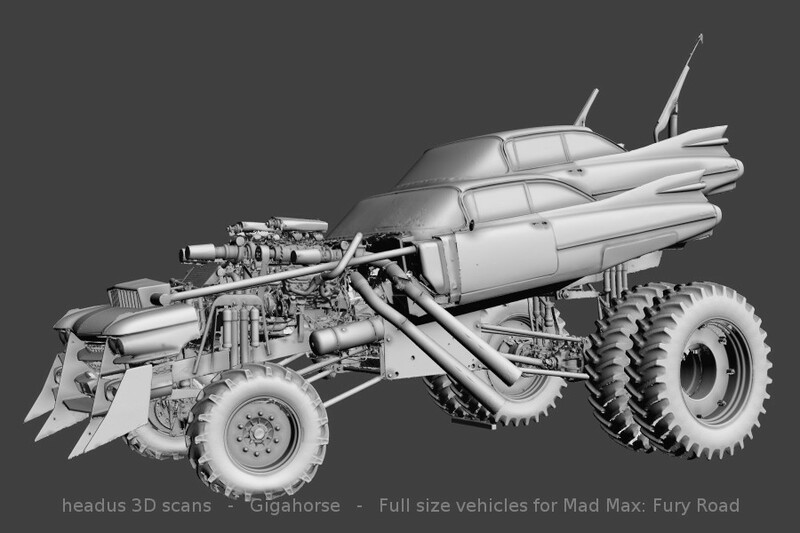 Way back in 2010, headus was called in to 3D scan full sized vehicles for the Mad Max: Fury Road production. 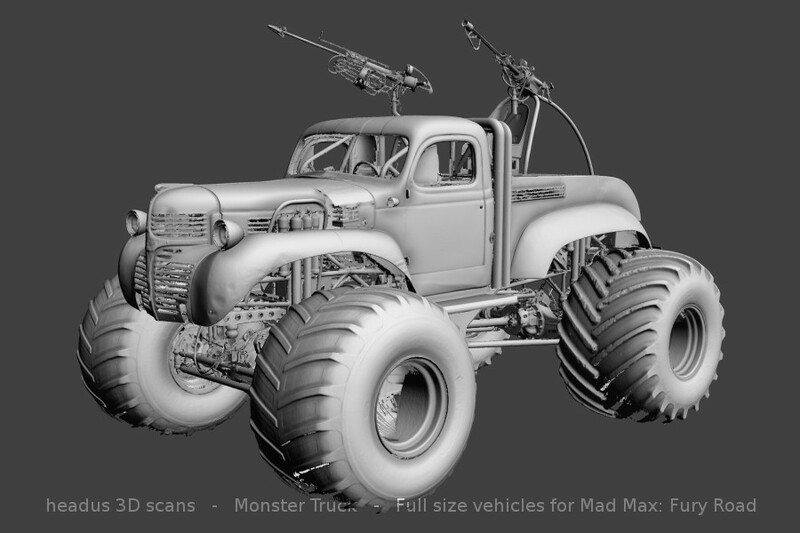 This was when it was still scheduled for filming in the Australian outback, and all the vehicles were being worked on in an enormous Sydney warehouse. 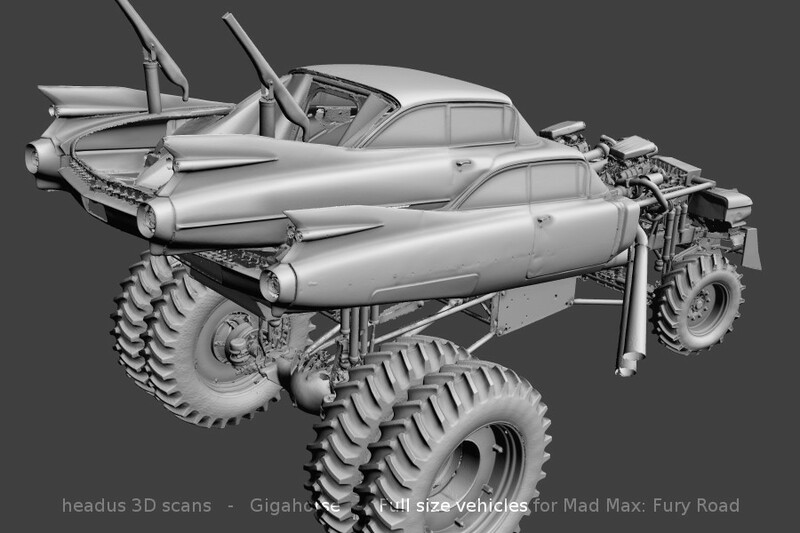 But then it rained and the whole outback turned green, so the production moved to Namibia. 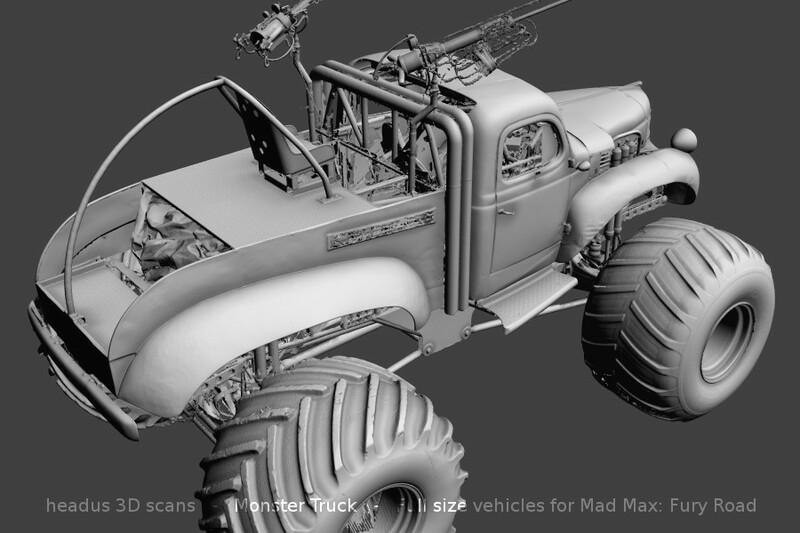 Director George Miller was keen for everything to be filmed with real cars and trucks doing real stunts, but some were just too dangerous or impractical, so these 3D scans were used to build digital doubles for those shots. 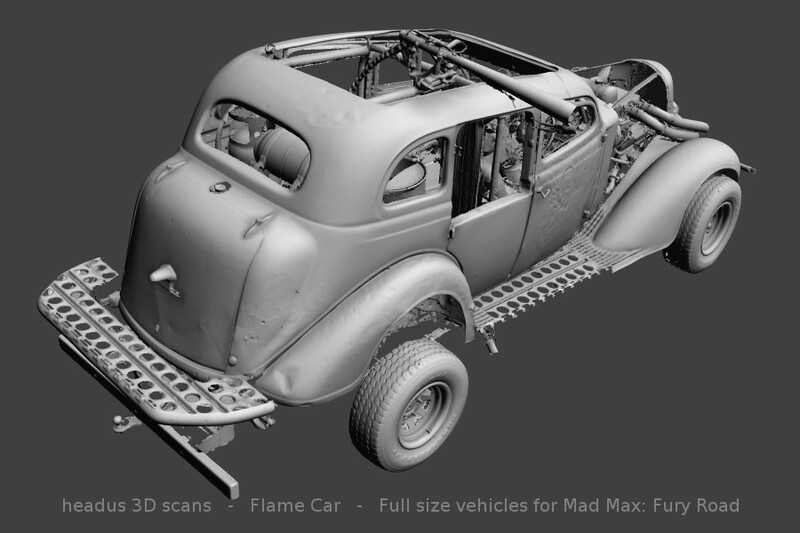 See below for some images of the 3D scans.